Meet Vee Walker as she launches her debut novel, 'Major Tom's War', a true story of tragic loss and unlikely love set amid the upheaval of the First World War. 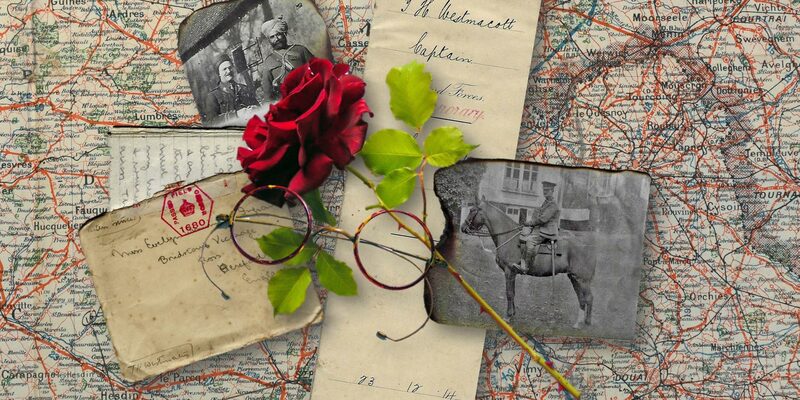 A story of love and loss, hatred and humour, despair and dogged survival, 'Major Tom's War' is based on real people, places and events drawn from the unpublished war diary of Tom Westmacott, the author's grandfather. Why does Bengal-born solicitor Tom flee Calcutta in 1914 for the horrors of the Western Front? And, in 1918, why does Evie Winnington-Ingram, who has good cause to hate him, agree to his proposal of marriage? Their dark, shared past initially drives them apart. War then forces them to face up to a harrowing present before they emerge, together, into an unexpected future. The stirring and intricate plot of this uplifting novel weaves together real events set in India, England, Wales, Scotland, Belgium, Germany and France - including the suffragette movement, executions by firing squad and the retreat from the Somme in March 1918 - and offers insights into the strangely cosmopolitan camaraderie and grim humour of the trenches. 'Major Tom's War' commemorates the Armistice by celebrating the extraordinary capabilities of ordinary people caught up in the upheaval and unimaginable horror of the First World War. Vee Walker is an experienced museums and heritage consultant. The discovery of a long-forgotten family tragedy led her to spend almost a decade researching and writing 'Major Tom's War', her debut novel. It is rooted in her grandfather Tom Westmacott's account of the 1914–18 conflict as contained within his war diary scrapbook, lovingly assembled by her grandmother, Evie Winnington-Ingram.